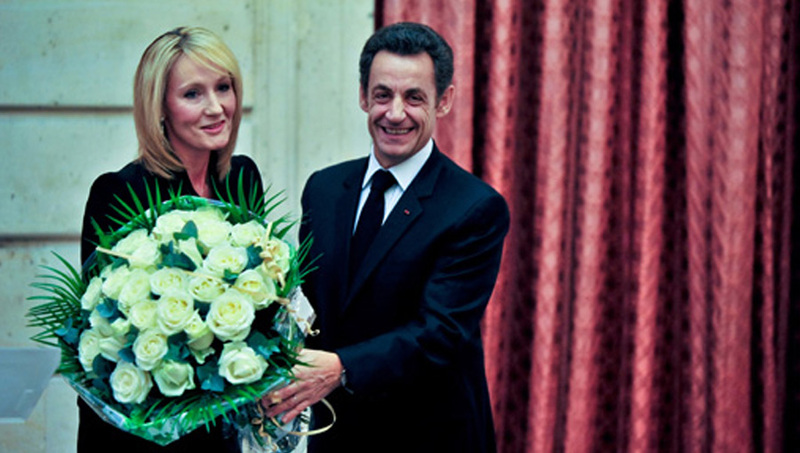 J.K. Rowling was named Chevalier de la Legion d’Honneur at a ceremony conducted by French President Nicolas Sarkozy in France, 2009. Under normal circumstances, membership of the Legion d’Honneur is restricted to French nationals. However, foreign nationals who have served France or the ideals it upholds, may receive a distinction – which is held in the same high regard as Legion membership.